DRD KIVAARI 338 Lapua Magnum Battle Worn is the latest addition to DRD’s patented quick take down rifles. The DRD KIVAARI is chambered in 338 Lapua Magnum and 300 Norma Magnum with Semi-Automatic gas operated system (Direct Impingement). DRD KIVAARI offers the most covert long distance rifle with a 1-MOA or better accuracy with Lapua factory ammunition. DRD Kivaari comes in a hard case or Tactical Taylor US made back pack. It Provides the ability to carry a 338 Lapua Magnum rifle over long distances in a back pack, whether for military snipers or hunters alike. DRD KIVAARI in 338 Lapua Magnum is always in stock at Xtreme Guns and Ammo, Xtreme Guns and Ammo is proud to carry their full line of tactical rifles. 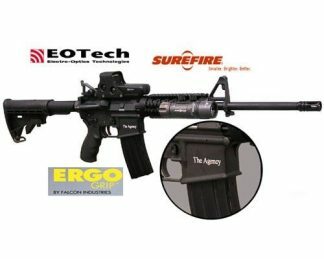 Feel free to call XGA in Texas with all your DRD Rifle needs at 832-363-3783.